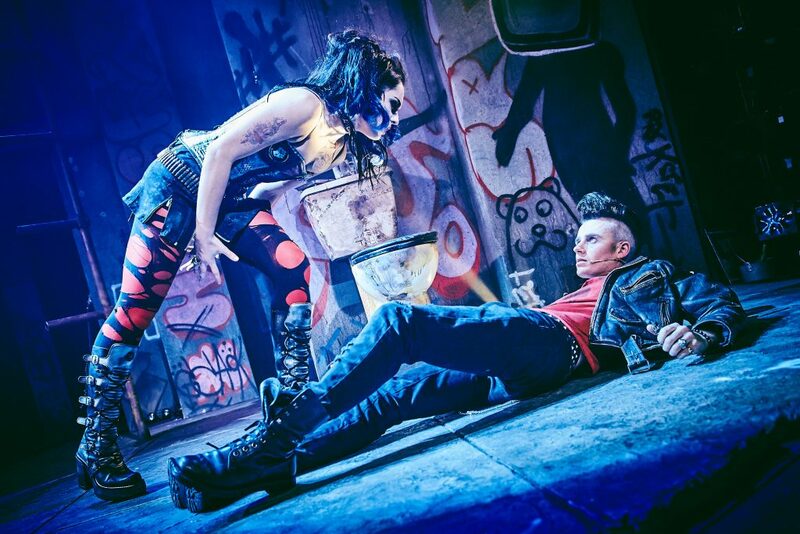 BrumHour saw Green Day’s American Idiot at the invite of The Alexandra. Music by Green Day, Lyrics by Billy Joe Armstrong, Book by Billie Joe Armstrong and Michael Mayer, Director and choreographer: Racky Plews. Johnny (Tom Milner) and his friends Tunny (Joshua Dowen) and Will (Samuel Pope) are all living hopeless lives and try to be better people after 9/11 . 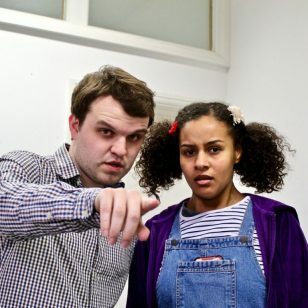 Johnny proclaims himself to be Jesus of Suburbia and embarks on a passionate affair with both a sultry woman only known as Whatsername (Sam Lavery) and hard drugs. Tunny finds his purpose in life by enlisting in the Army, but after an accident finds himself confined to a wheelchair. Will tries to live life in the suburbs with his pregnant girlfriend, but instead of becoming a family man, slowly falls back into smoking weed and spending all his time glued to his sofa playing video games. Until his girlfriend played by Laura Marie Benson leaves him. Green Day’s American Idiot is not at all what I was expecting. I knew it had a whole lot of well known songs from the band Green Day, and for whatever reason I thought it was telling a story about the band, but I was wrong. 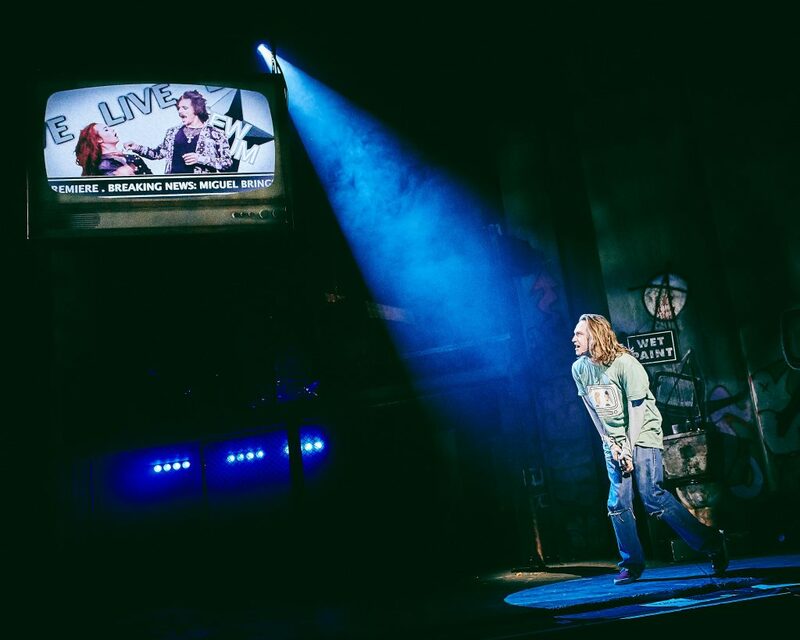 Much like the musical Mama Mia uses the songs from ABBA to tell a story about a girl and her wedding, American Idiot uses the songs of Green Day to tell the story of three stoner friends after 9/11 and how their lives pan out. The songs are phenomenal and include American Idiot, Boulevard of Broken Dreams, 21 Guns and Wake me up When September Ends. This show is a wonderful tribute to the songs of Green Day and I thoroughly enjoyed myself, it seems I was not alone either as the show finished with a rousing standing ovation from a very enthusiastic audience. 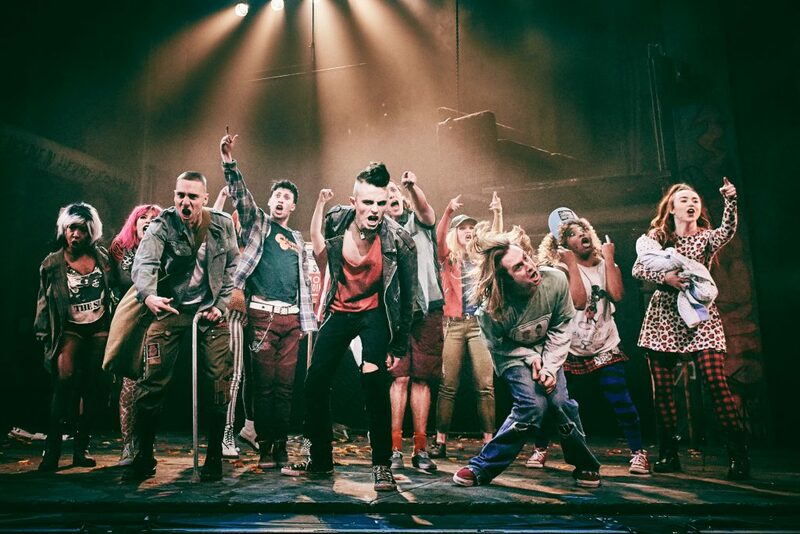 American Idiot does have a fairly large cast and the singing is terrific including Luke Friend as St Jimmy with plenty of ‘oomph’ from all the cast. I’m always impressed when some dainty girl belts out a huge tune. This show is jam packed with energy and emotions. 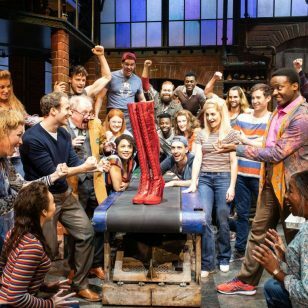 American Idiot was a wonderful night out, totally different to my expectations but still a thumpingly good show with an outstanding cast. Green Day fans will not be disappointed.